During World War II, American GIs could be found all over Europe speeding down country roads in small, powerful, and agile cars that were not available back home: MGs, Allards, Austin Healys, and Triumphs. But it was not just average grunts who were enjoying these cars. 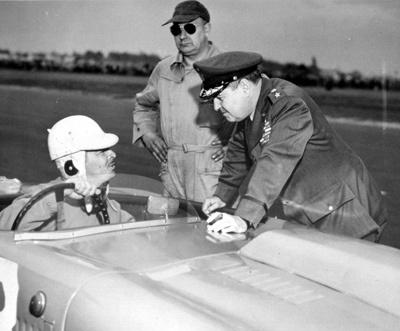 Air Force General Curtis LeMay fell in love with sports cars during his time overseas, and after he helped defeat Hitler, he brought an Allard J2 back to the States. By the late 1940s, LeMay was in charge of the Strategic Air Command—the first line of defense against the looming Soviet threat—and encouraged his airmen to race cars on the bases he was stationed at in order to keep their senses, reflexes, and instincts sharp, since they were basically driving a road version of their bombers and fighters. 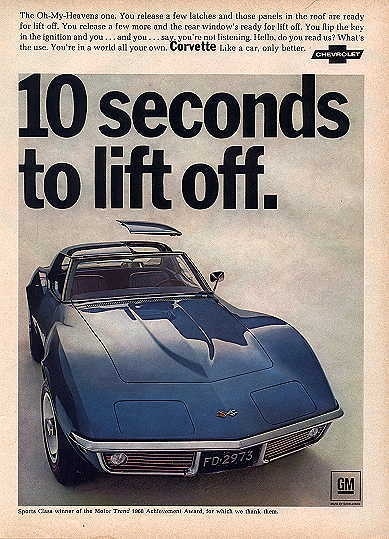 LeMay knew that America’s new superpower status meant it needed a sports car that could rival anything coming out of the Old World. 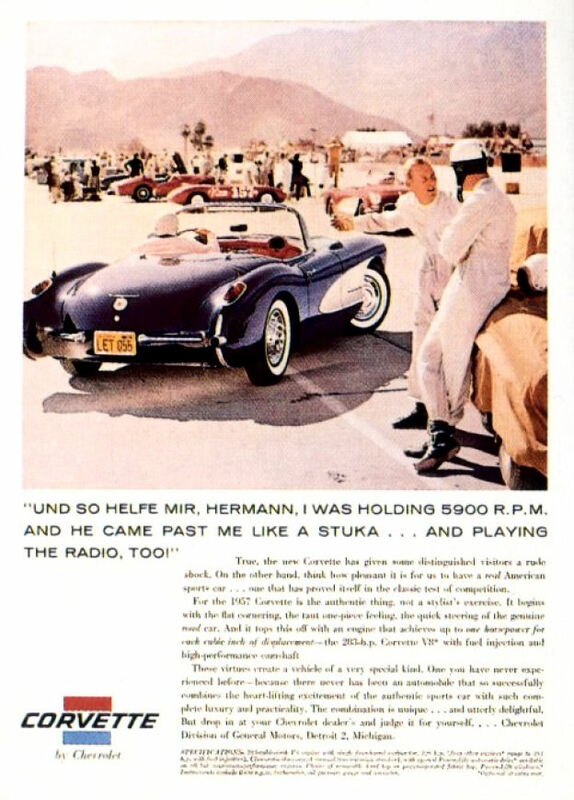 He encouraged legendary auto designer Harley Earl to come up with what became America’s sensational sports car—the Chevrolet Corvette. Named after the highly maneuverable, powerful, and crafty military ship that gained fame in the war, helping to save Europe from fascism, this new car embodied the new post-war jet age with tail fins, bullet headlights, and wraparound windshield. Chevy capitalized on military imagery in their advertising. 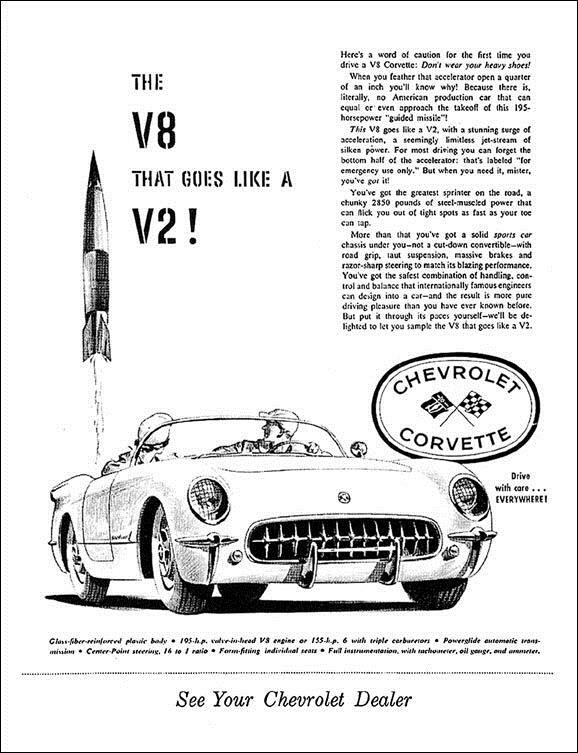 One ad claimed that Corvettes, come upon you “like a Stuka,” and another ad said the new V8 performs like a V2 rocket or missile (appropriate for the Cold War and the burgeoning space race). 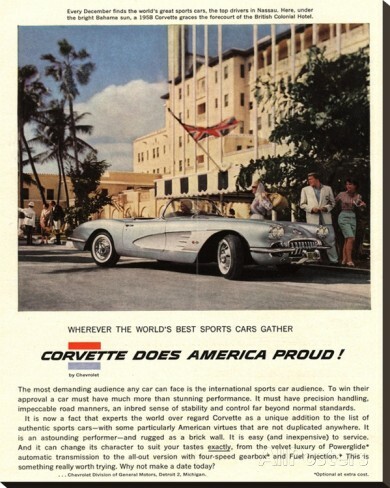 Other ads compared Corvette to Europe’s best sports cars—often goading Italy’s Ferrari, Germany’s Mercedes and Porsche, and England’s MGs and Jaguars—in essence “doing America proud” with a sports car that matched its ascendency in the post-war world. 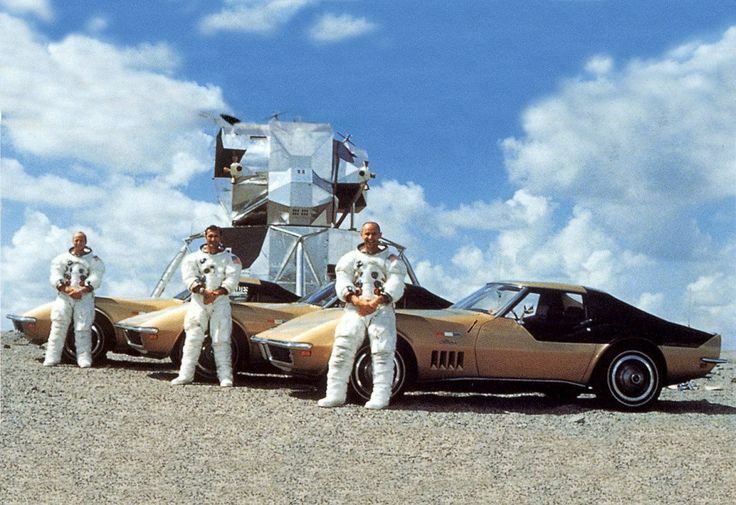 Indeed, from the country roads of England in the waning days of World War II to the airstrips of the Strategic Air Command to the Final Frontier, the Corvette was not just a reflection of the Cold War era, but an active participant in the culture of the Cold War. This entry was posted in Academic Programs, antique cars, Ephemera, Historic automobiles, Uncategorized and tagged cold war, corvettes, historic autos, vintage corvettes, Winterthur Museum Garden & Library, world war II. Bookmark the permalink.